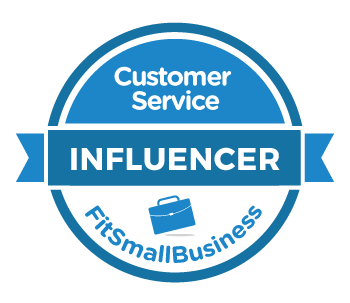 An entrepreneur named Sara recently emailed me to ask about customer service benchmarks. She was writing a business plan for a new company and wanted to figure out what sort of Key Performance Indicators (KPI) would be right for her new company's customer service operation. Benchmarks are a good place to start. You can look at what other organizations generally do for things like customer satisfaction, response times, and first contact resolution. These metrics give you a starting point for developing your own standards. So, I sent Sara this guide to using customer service benchmarks along with a few examples. I also sent her a word of caution: relying on benchmarks can be a great way to establish very mediocre customer service. That's by definition the middle of the pack. Right now, the average customer service rating isn't very good. The American Customer Satisfaction Index is at a low point. Nobody says, "We're hoping for average customer service," but that's exactly what you're doing if you rely on benchmarks to set the bar for your team's performance. Average not a very high bar to shoot for. There's another problem with benchmarks. These studies often look at what companies are doing, but there's frequently a gap between what businesses are doing and what customers actually want. Email response time is a great example. Research suggests that companies need to respond to customer emails within one hour to meet consumer expectations. However, the benchmark response time for customer service operations is currently four hours. There are a few things that companies can do to be above average. One option is to study consumer preferences. For example, you can read up on the 2016 State of Multichannel Customer Service report. You can provide better service if you focus on delivering what your customers expect rather than worry about what other companies do. Another idea is to find out what your competitors are doing and then do it better. In Reinventing the Wheel, bicycle store owner Chris Zane described how he would look for opportunities to make his competitors uncomfortable. For example, he decided not to charge customers for any parts that cost less than a dollar. It was a goodwill gesture to customers but it also created an advantage over competitors who nickel and dimed customers for every little part. Benchmarks aren't all bad. There are times when they can be really helpful. I once had a client who was having a hard time attracting talented customer service employees. The problem was the company paid well below market wages. This meant that a strong job applicant could easily earn more money doing the same job somewhere else. The company's CEO initially balked at the idea of raising the starting wage. He was concerned about increasing costs without getting anything in return. I used a benchmark to help change his mind. First, I showed him the salary range for the customer service job. I was careful to highlight where his company's starting wage fell on the bottom of the range and where my proposed increase landed. This got his attention. Next, I tied wages to business results by asking him what a new employee would need to do to justify a $2 per hour wage increase. The CEO did some quick calculations and figured that if a new rep could add a sale to 35 percent of customer inquiry calls, it would pay for the wage increase. The current rate was 33 percent, so this seemed well within reach. Finally, I proposed an experiment. Let's raise the starting wage by $2 per hour for the next new hire and see what happened. The CEO agreed. The results were striking. The customer service manager received many more qualified applicants for the open position than ever before. The person she hired ended up being a star! Within 30 days, she was adding a sale to 45 percent of customer inquiries, which more than paid for the $2 hourly increase. The CEO was very happy. The salary benchmark helped me make the case, but I also had to add my own analysis on top of that. You can get similar results if you can apply your own critical thinking to benchmarks. Subscribe via email and receive my workbook: 10 Customer Service Activities to Supercharge Your Team. How does your service measure up? 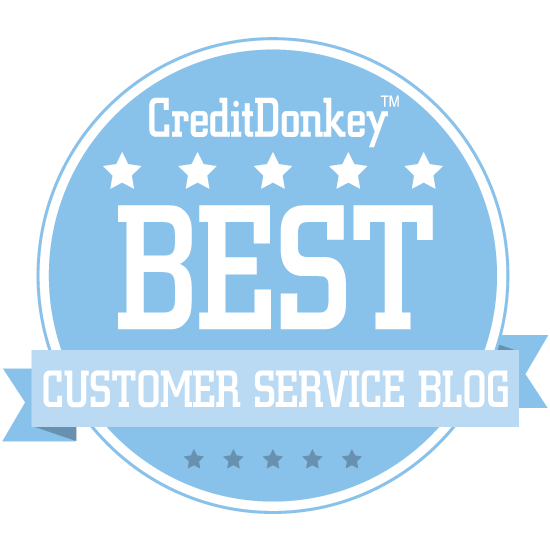 You can learn a lot from customer service benchmarks. You just have to be willing to conduct a little analysis. Two retail sector customer service benchmarks were published earlier this month. The results are a mixed bag. One thing is for certain - smart retailers will take note of a potential problem. First, the good news. Retail customer satisfaction is up overall. The 2013 American Customer Satisfaction Index for the retail sector was 77.9 percent, up 1.7 percent from 2012. This score was bolstered by supermarkets, drug stores, and specialty retailers all posting gains in satisfaction. Amazon boasted a 4 percentage point gain in satisfaction while Netflix continues making a comeback with a 5 percentage point gain. Then there’s Charles Schwab, whose satisfaction rating grew a whopping 9 percentage points. There were also some ominous signs. The 2013 Q4 Zendesk Customer Service Benchmark for retail customer satisfaction declined 6 percentage points from Q3. A slight decline in the fourth quarter is normal in retail when sales volumes and crowds increase with holiday shopping. However, the Q3 to Q4 decline was three times larger in 2013 than it was in 2012. Zendesk’s analysis pointed to growing agent workload as one potential culprit. Customer service departments typically get busier in Q4 due to holiday shopping. In 2012, the average number of tickets handled per active customer service agent increased 13 percent in Q4 from Q3. This spike grew larger in 2013 when the increase was 17 percent. This bears repeating. In 2013, customer service employees had 17 percent more work to do in Q4 than they did in Q3. That's nearly a full day of extra work, based on a typical five day workweek. Mo' work equals mo' problems. Problems take longer to solve when workloads increase. Longer wait times lead to increased customer aggravation. Too many aggravated customers can cause customer service employees to feel burnt out. Higher workloads for customer service employees can also lead to inconsistent service for individual customers. Employees look to cut corners when they feel pressured to get more work done. Rapport-building diminishes. An emphasis on speed can actually hurt first contact resolution. It can become a vicious, self-reinforcing cycle that leads to even higher volumes. Customer service employees often modulate their effort level during busy periods. They work faster when volumes are high, but they also work slower when volumes are low. Temporarily low volumes are seen as an opportunity to rest and recover before the next onslaught begins. Managers have a hard time keeping up too. The extra volume means more issues demand their immediate attention, leaving less time for coaching employees and solving problems. Will 2014 Be the Same? It’s admirable to try to avoid the Q4 madness from 2013. So, what will you do? Make a resolution. You can read my advice here to make sure you keep it. Prevent problems. Start looking for customer service icebergs now. Staff up faster. Learn how to hire employees and train them faster so you can staff up quickly in Q4.